So we woke up this morning to the largest snowfall we’ve had in nearly a year. 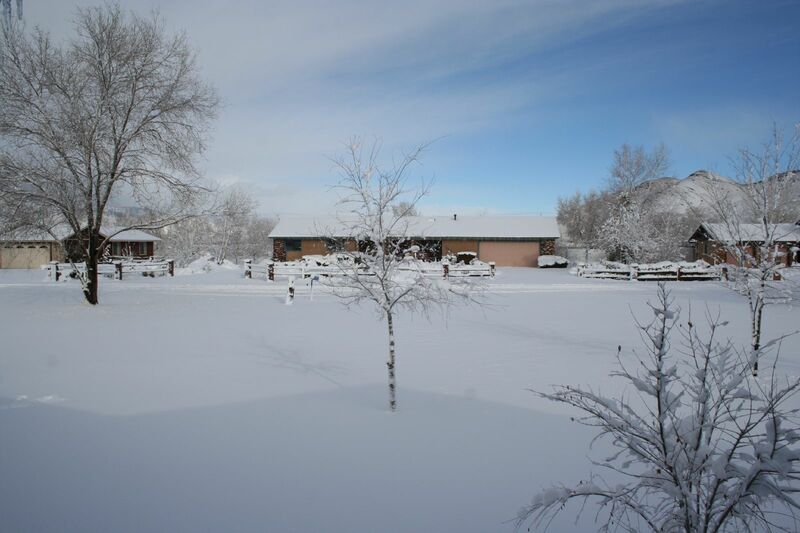 I measured a solid six inches in Carson City and the Carson Valley both. Some are reporting drifts of up to 12 inches in areas. So I’d call this a pretty successful storm. Plus, it’s noon and we’ve had hardly any melting yet, so that’s another out-of-the-ordinary occurrence for us. And another wave is supposed to be hitting tonight, bringing in possibly another six inches. Of course all eyes are on Fernley this morning, where a levee broke along the Truckee-Carson Canal early this morning, sending three to six feet of water into the neighborhoods in southern Fernley. So that could mean that thousands of people might have to weather this next storm in a makeshift high school shelter instead of in their own homes. The Nevada Appeal has a few flooding pictures here and here and here.